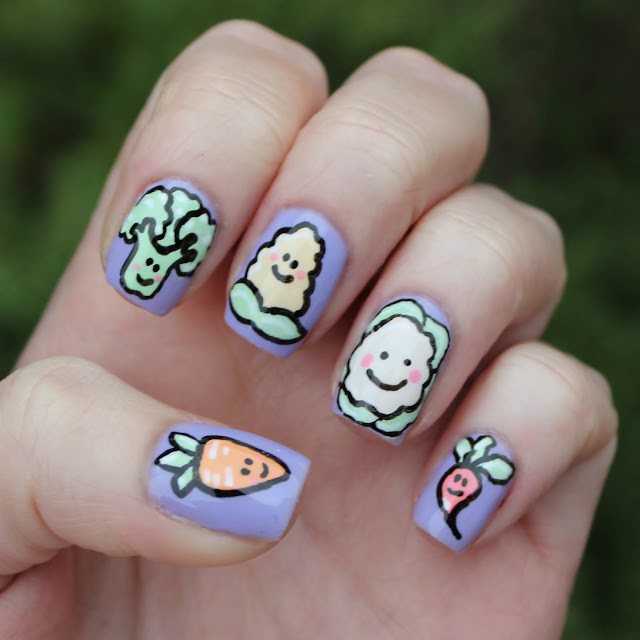 Today is Eat Your Vegetables Day so what better way than to honor the day (other than actually eating your vegetables) than with some cute Kawaii nail art? The idea for this came from the lovely Beauty at Tesco team and is one that we would probably never thought to do had they not suggested it. The design was nicely handed over to me by Jo as I am a veggie so she thought it appropriate! Only problem is I don't actually tend to eat as many vegetables as I should being much more of a bread and cheese kind of gal! However, today I will be attempting to eat green. Don't forget to check out more of our pics on the Beauty at Tesco's social media sites: Instagram, Pinterest, and Twitter.